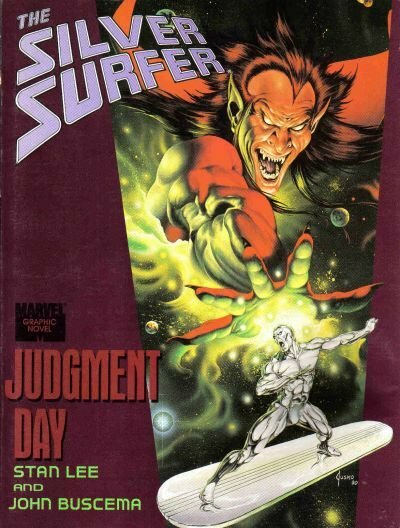 Click Here To See Silver Surfer: Judgment Day Graphic Novel! 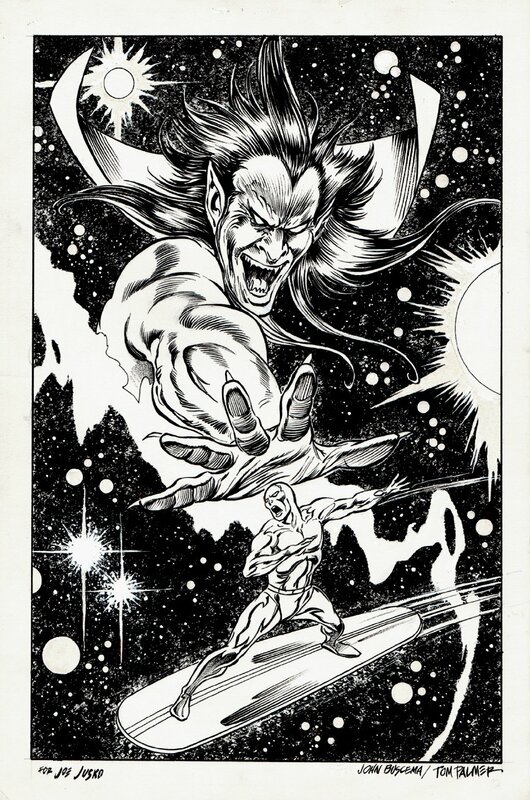 Check out this stunning original drawn line art for the cover for the Silver Surfer: Judgement Day Graphic Novel, drawn by the great John Buscema! John Buscema supplied full pencils to painter Joe Jusko who painted the final cover. Tom Palmer inked Buscema's original pencils later, as a gift to Jusko, creating an eye popping 3-D pen and ink illustration! Graphite and ink on Marvel Cover Stock artists board... Just a Stellar piece here by this great Silver Surfer artist! Compare this nice cover art to the published book in the red link above! ALL art on our website (including this one) are able to be purchased with VERY fair time payments, and trades are always considered towards "ANY" art on our website! Just send us an email to mikeburkey@aol.com and we can try to work something out.